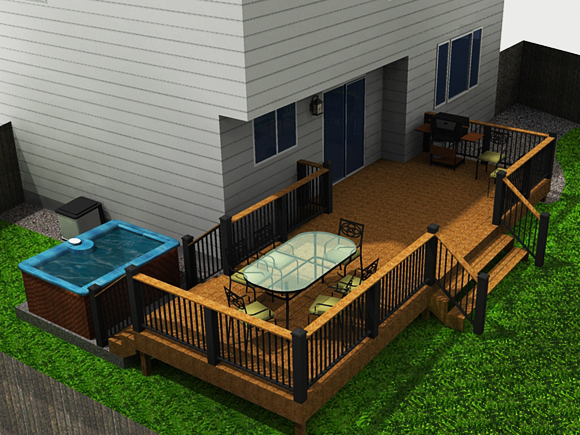 The Roberts wanted to utilize their large backyard and create a great gathering place. 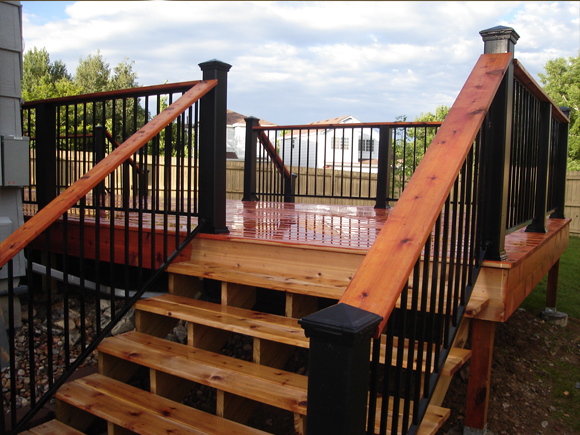 The existing patio did not provide sufficient space and was damaged, so a new deck was proposed to cover the slab and connect a new hot tub. 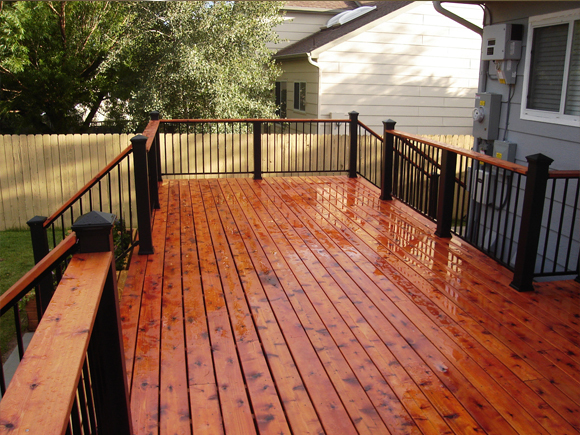 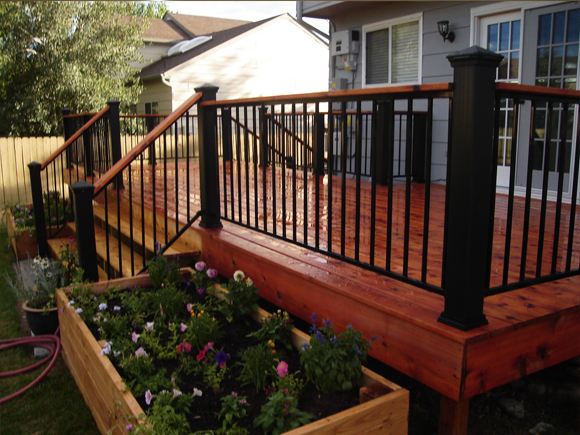 Decking material is sustainably harvested Western Red Cedar, the concrete was sourced from local manufactures using fly ash, and environmentally preferred treated lumber was used for the framing.